What is a GPU (or Ground Power Unit)? GPU or a ground power unit is portable power source for engine startup of motor vehicles, aviation and more. In most cases, motor starter generators would be using turbine engines that operate at over 30 volts without much problem. At the start of the engine, the amperage draw intensifies and reaches its highest point. The draw can even reach up to 1000 amps, it all depends on the type of engine. For gas engines, at the start up process, the amount of amperage falls during the activation phase in order to be able to sustain the motion. A battery is thus used to be able to cope with the increased pressure and the drop in voltage. Generally, when the pressure load is passed on to the battery, the voltage is significantly reduced. If the turbine has to be properly started, the voltage drop would need to be kept to a minimum. A low level of voltage will result in a low amperage. Various starter motors might even require that the voltage of the battery be reduced to about 15 volts while the engine is being started. However, in general terms engines manufacturers would require about 28 volts to cope with the decrease in voltage. External GPU are used in to cancel out the differences in voltage amounts. This ground power unit would send about 20% of the energy required by the motor and will facilitate the start process while ensuring that the temperature of the machine is not elevated. The GPU also brings an increase in the lifespan of the turbine. 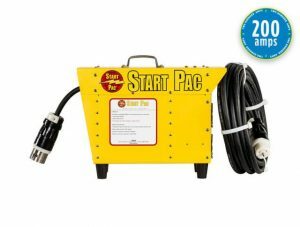 About the Author: Start Pac specializes in portable battery pack and ground power unit for engine startup.